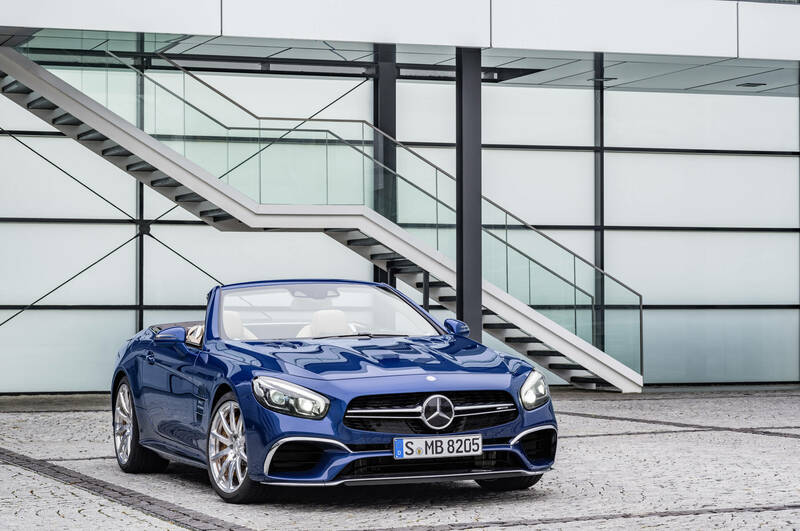 Mercedes-AMG is further enhancing its SL63 and SL65 high-performance roadsters with updated technology and expressive design. The front section features a completely new design, with a radiator grille which broadens out towards the bottom and the A-wing front spoiler. The stylish light signature and the highly comprehensive scope of standard equipment and appointments underscore the high-quality impression. 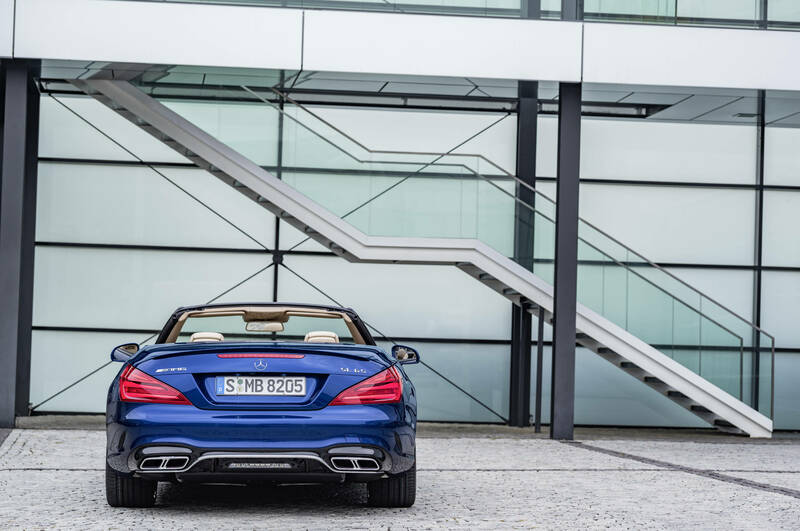 The engines set the benchmark in the high-performance roadster segment: the 5.5-litre V8 biturbo engine on board the SL63 generates an output of 430 kW (585 hp) and peak torque of 900 Newton metres. The SL65 is powered by a 6.0-litre V12 biturbo engine rated at 463 kW (630 hp) and delivering 1000 Newton metres of peak torque. 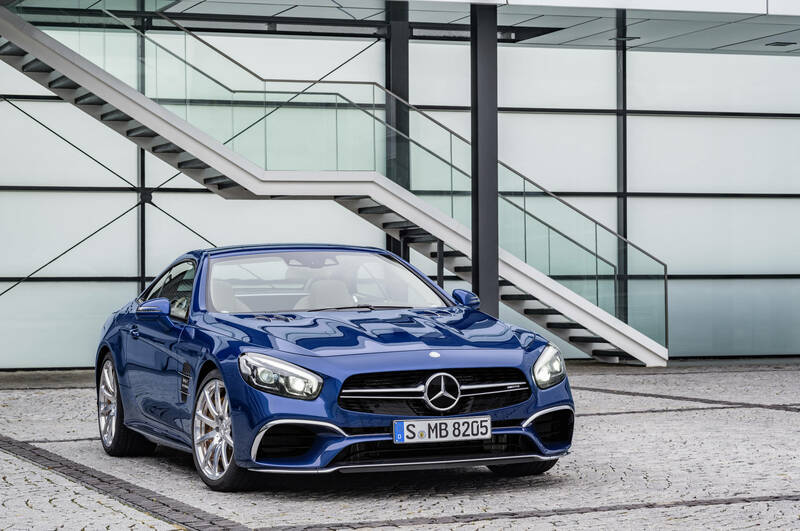 Outstanding performance, impressive driving characteristics and the expressive, stylishly honed design are the hallmarks of the new Mercedes-AMG SL63 and Mercedes-AMG SL65. 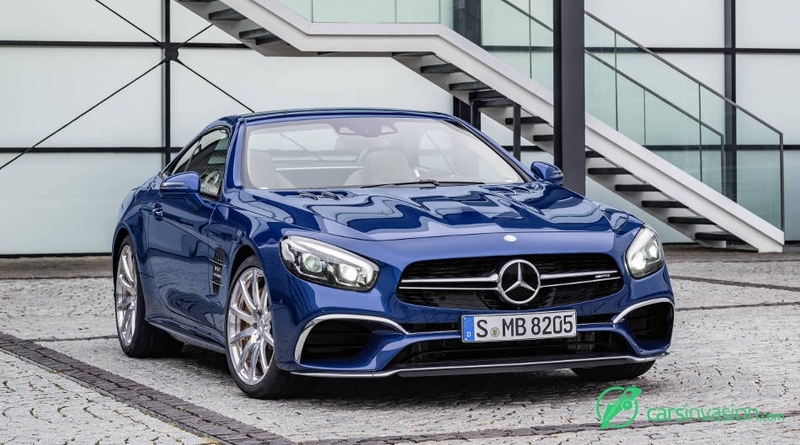 The technical highlights include the sports suspension based on Active Body Control, the rear-axle differential lock which now features as standard, the even more responsive AMG SPEEDSHIFT MCT 7-speed sports transmission (SL63) and the five AMG DYNAMIC SELECT driving programmes. 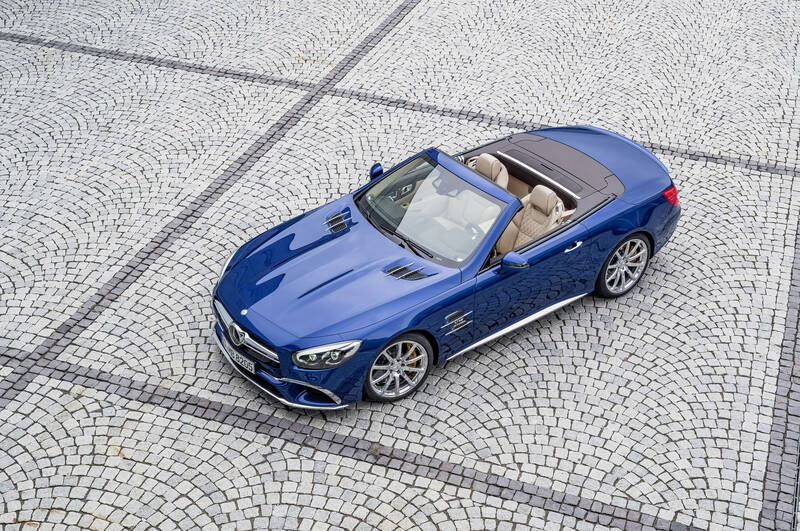 "Our updated SL63 and SL65 high-performance roadsters offer a unique driving experience, combining hallmark AMG "Driving Performance" with the pleasures of open-air motoring and superior comfort on long journeys, notes Tobias Moers, Chairman of the Board of Management of Mercedes-AMG GmbH. 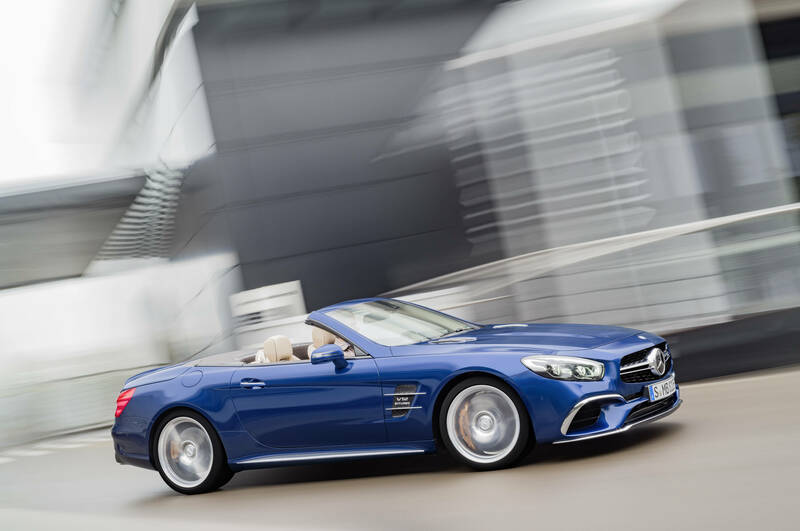 The SL63 and SL65 had their world premiere at the 2015 Los Angeles Auto Show; the market launch will begin in April 2016. Both roadsters offer more power and torque than their respective competitors in this segment. These engines result in high-calibre performance, as illustrated by figures for acceleration from 0 to 100 km/h in 4.1 and 4.0 seconds respectively, for example. The top speed is 250 km/h (electronically limited). The AMG Driver's package includes an increase in the top speed to 300 km/h (electronically limited). NEDC combined fuel consumption stands at 9.8 litres per 100 kilometres for the eight-cylinder engine and 11.9 l/100 km for the twelve-cylinder variant. The powerhouses incorporate numerous high-tech components for high power output combined with low fuel consumption: in addition to spray-guided direct petrol injection, further features include an all-aluminium crankcase, twin turbocharging, four valves per cylinder with camshaft adjustment and an air/water intercooler. The weight-optimised exhaust system provides for a striking engine sound with an individual character. Large radiators in the front and special vents in the bonnet ensure the required heat balance for the engines. 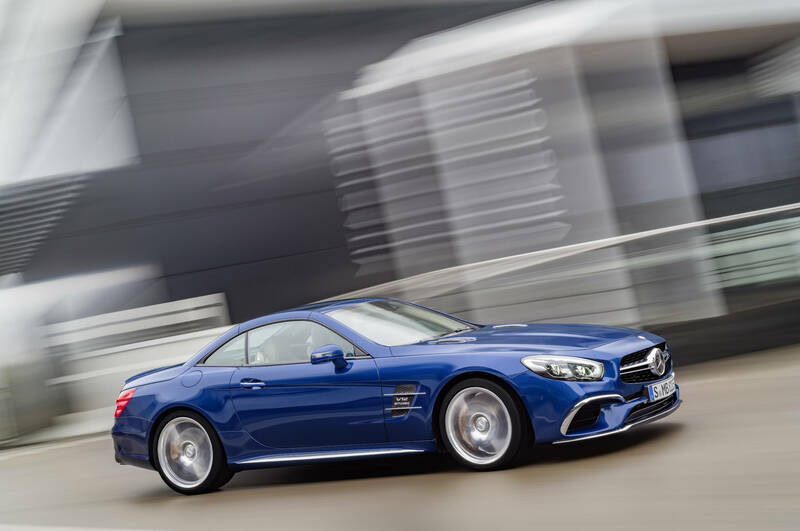 Performance is also boosted by the sports suspension based on Active Body Control, the high-performance composite brake system and the redeveloped AMG SPEEDSHIFT MCT 7-speed sports transmission (SL63) or AMG SPEEDSHIFT PLUS 7G-TRONIC (SL65). The intelligent lightweight design is also a major contributory factor to the high driving dynamics. 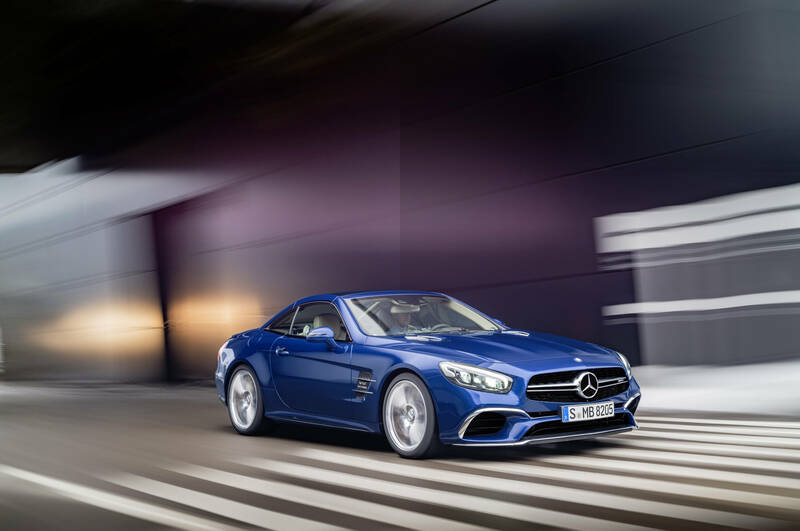 On the SL models the light all-aluminium bodyshell provides the basis for high rigidity, safety and comfort combined with the lowest possible weight. The designers have used the even lighter material magnesium for the panel behind the tank. The boot lid contributes to a further reduction in weight. The interior support consists of a light carbon-fibre composite material. The extremely rigid carbon-fibre component benefits from AMG's motorsport expertise and is bonded to the equally very light plastic outer shell. This results in weight savings of five kilograms in comparison to a conventional boot lid. The steering knuckles and spring links of the 4-link front axle and almost all the wheel control parts of the multi-link rear suspension are also produced in weight-optimised aluminium. The reduction in unsprung masses benefits not only agility, but also the response of the spring-damper elements. Mercedes-AMG remains faithful to the Active Body Control (ABC) active spring and damper system. 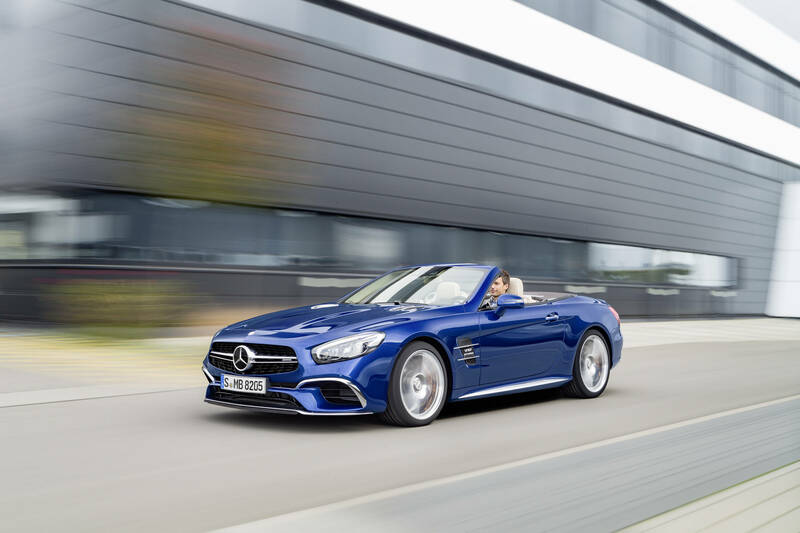 For even greater agility and high cornering speeds, the AMG SL models have more negative camber all round and fully revised, substantially stiffer elastokinematics. At the touch of a button, the optional Performance suspension (available for SL63 only) offers an emphatically sporty characteristic with reduced roll angles and taut body damping at the touch of a button ("Sport") or a more comfort-oriented set-up for a high level of comfort on longer journeys ("Comfort"). 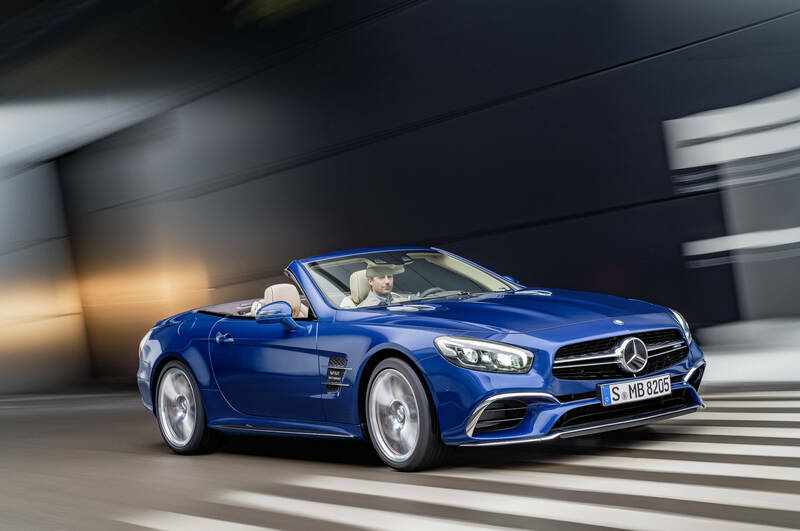 In conjunction with the new electromechanical speed-sensitive power steering, the ­AMG roadsters offer agile cornering and clear feedback to the driver when the car is approaching its critical limits. The steering features a constant and more direct ratio and variable power assistance which adapts according to the selected suspension set-up. The standard scope of equipment also includes 3-stage ESP® with "SPORT Handling" mode for particularly ambitious drivers. 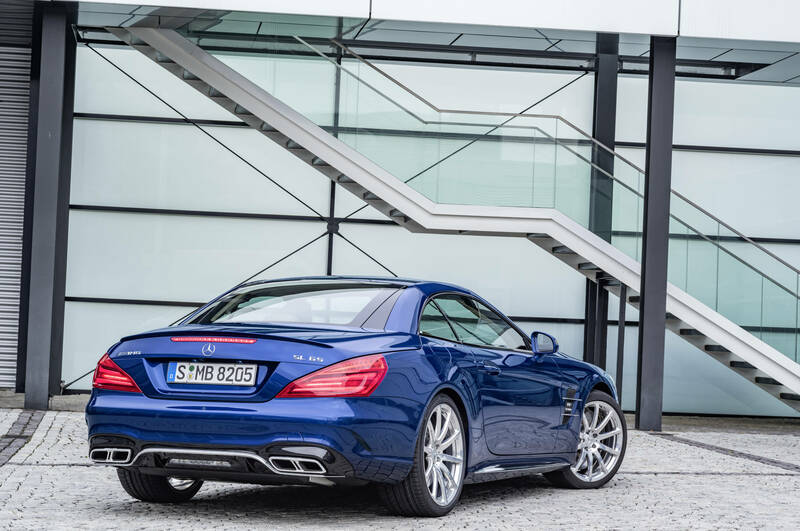 The AMG SPEEDSHIFT MCT 7-speed sports transmission on the SL63 boasts tailor-made dynamics and high variability. Whether automatic or initiated by the driver using the steering wheel shift paddles, upshifts and downshifts are executed noticeably faster than on the previous model. Especially in "Sport Plus" and in manual mode, the transmission response is now even more prompt. This enhanced spontaneity was made possible by optimising the engine and transmission software. Furthermore, the new aluminium shift paddles are now able to transmit the driver's commands to change gears even faster. The tangible driving dynamics are thus enhanced further. For improved traction and driving dynamics, SL63 and SL65 are equipped with a mechanical rear-axle differential lock as standard. This reduces the slip on the inside wheel when cornering, without any control intervention in the braking system. This allows the driver to accelerate out of corners earlier thanks to the improved traction. The car remains more stable when braking from high speeds, and the limited-slip differential also improves traction when accelerating fast from a standing start. The five different driving programmes "Comfort", "Sport", "Sport Plus", "Individual" and "RACE" provide the driver with broad scope for influencing the characteristics of the SL63 and SL65. Numerous parameters can be modified, from throttle response to engine sound, enabling the utmost in individualisation. In the "Comfort" programme the driver experiences a gentle transmission characteristic with comfortable and early gear changes. In "C" mode the car always starts in second gear. In the other driving modes the engine and transmission demonstrate substantially greater agility, in addition to which gear changes are faster. 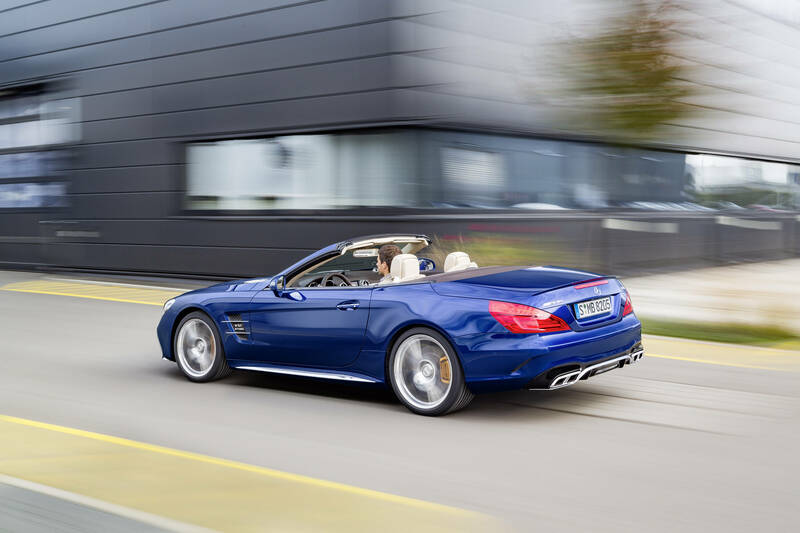 On the SL63, an automatic double-declutching function when downshifting and the RACE START function also form part of the standard scope of the AMG SPEEDSHIFT MCT 7-speed sports transmission. The striking design emphasizes the two high-performance roadsters' self-assured character. The front section is totally new and markedly more expressive. It is characterised by the newly designed twin-blade radiator grille, which is now wider at the bottom. The A-wing front apron, the large cooling air intakes with flics as an additional means of guiding air flows and the front splitter emphasize the vehicle's width. The newly designed bonnet combines design and function in the guise of classic powerdomes and the vents which are required for technical reasons. The apron in a new diffusor look immediately catches the eye at the rear. All-red tail lights underscore the stylish character. 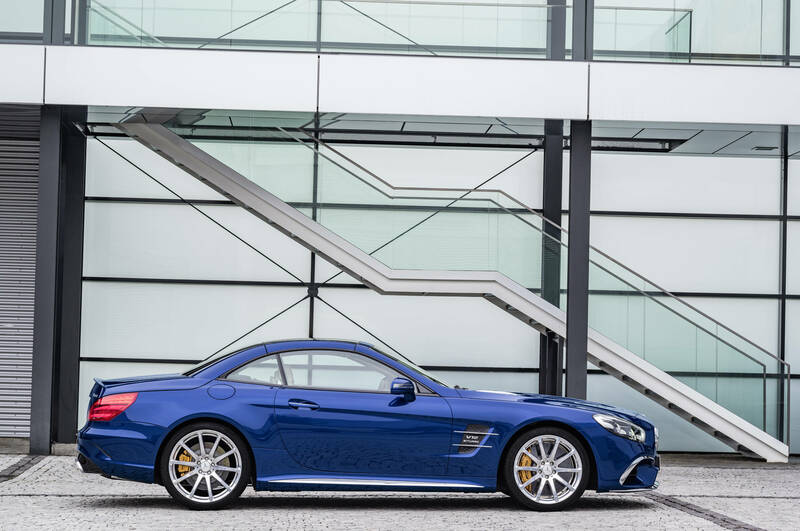 The side skirts also feature a new design and incorporate different inserts according to the model concerned - in silver chrome on the SL63, while the SL65 is set apart by applications in high-gloss chrome. The Night package is optionally available for the first time. The Carbon-Fibre package has been extended to include inserts in the rear apron and in the side skirts. The SL63 leaves the factory with 10-spoke light-alloy wheels, painted in titanium grey and with a high-sheen finish, in size 9 J x 19 with 255/35 R 19 tyres at the front and in size 10 J x 19 with 285/30 R 19 tyres at the rear. The SL65 is fitted as standard with multi-spoke ceramic polished forged wheels. The front wheels come in size 9 J x 19 and are fitted with 255/35 R 19 tyres, while the rear wheels in size 10 J x 20 are fitted with 285/30 R 20 tyres. The lavishly appointed interior covers every wish: the standard scope includes sports seats in nappa leather with optimised lateral support and model-specific upholstery layout, multicontour function and seat heating. 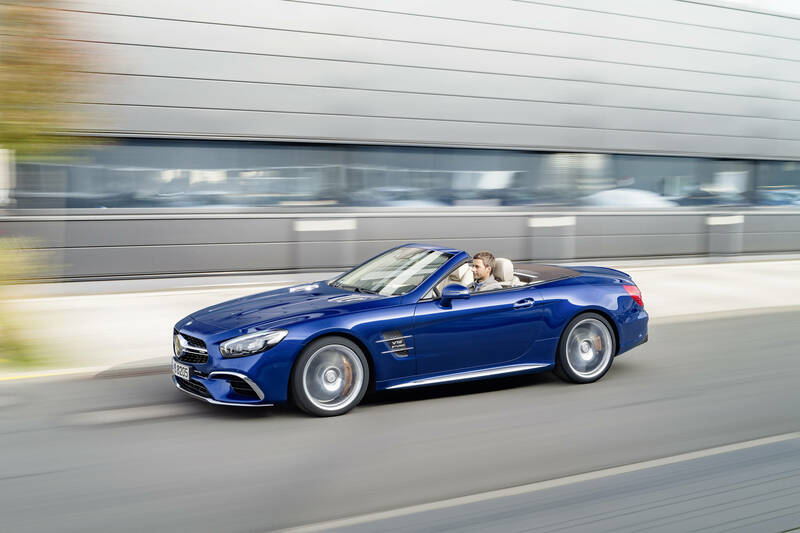 The driver has a good grip on the AMG SL at all times with the 3-spoke Performance steering wheel in black nappa leather featuring a flattened bottom rim and silver-coloured aluminium shift paddles. Carbon-fibre trim and the analogue clock in IWC design highlight the high-performance roadster's special standing. Optional carbon-grain aluminium trim lends the open-top two-seaters an even more personal touch.